The small white telescope is a guide scope to help keep the mount tracking properly. The Newtonian has a focal length of about 800mm compared to the 1500mm of the Maksutov so it sees more sky. Also by being larger it sees fainter stuff. Both images had the same exposure (4 minutes for the luminance channel, 3 minutes each for the red, green and blue channels). 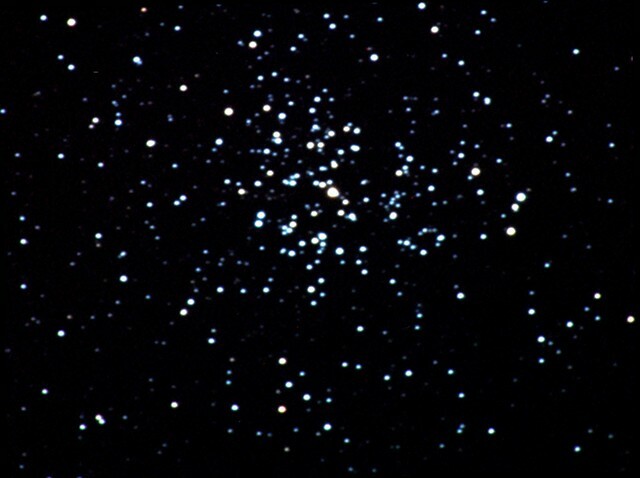 Not only does the 8" show a larger field (due to it's shorter focal length) but it shows fainter stars too. Which brings me to the mount. With both the light (in weight) 5" and the heavy 8" telescopes, the mount, a Celestron CGEM DX, performed very well. My previous mount, an inexpensive EQ-5 from Skywatcher could only do 30-90 second exposures, and the autoguider would often give up trying. The CGEM DX was able to guide accurately with the autoguider for 4 minutes. 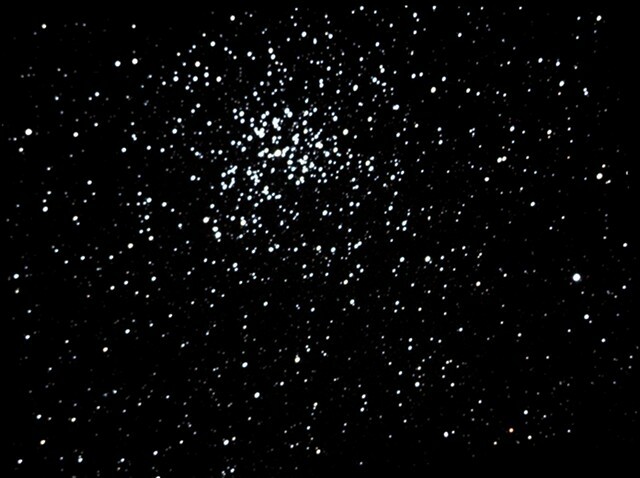 A couple of images had tracked stars, but with the clouds passing through I think that may have been the cause. The fact the images turned out as well as they did given the general level of haze is amazing. 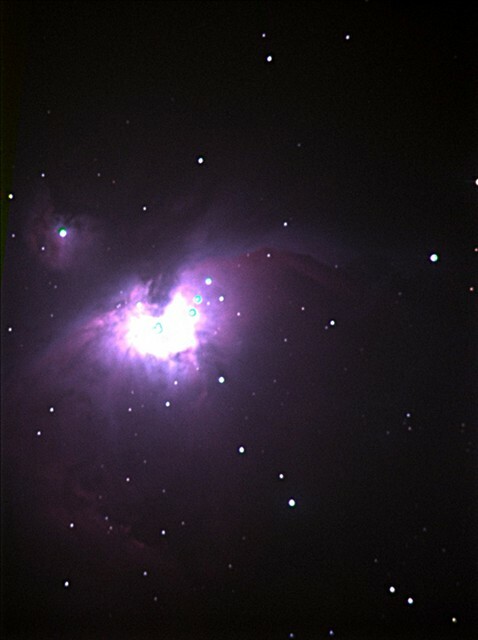 One final image through the 8" from last night, M42 the Orion Nebula. Again pretty good given the level of hazy cloud. Also a 4 minute L, 3 minute R,G,B shot, click to enlarge.